So you're a college student with a few spare minutes? Take a quick look of what you could do with that time. To think it only took a half hour to fix, and caused hours of discomfort. 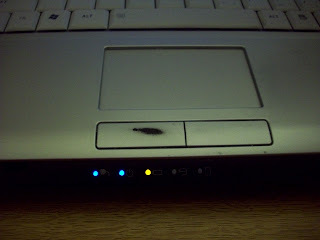 Yes, the only thing bugging my laptop and preventing it from starting was a cable short, specifically the touchpad cable. Somehow the wires had separated from the plastic casing and were burning a few wires they shouldn't have been. Knowing is half the battle, be prepared and remember cable shorts are irritating as all hell. 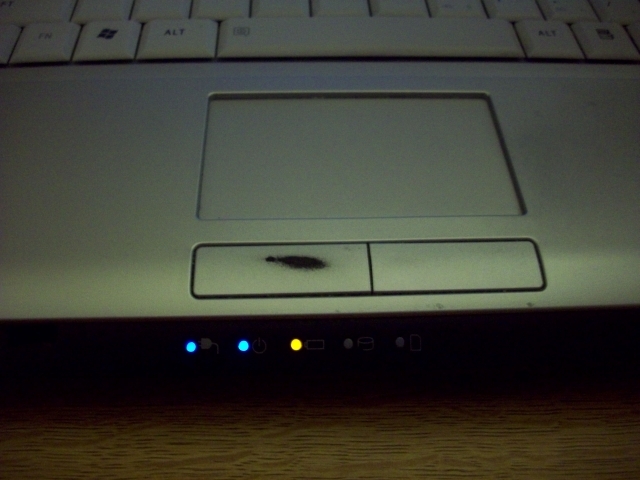 This entry was posted on October 4, 2009 at 12:14 pm, and is filed under DiY, laptop . Follow any responses to this post through RSS. You can leave a response, or trackback from your own site. My laptops screen don't work because of the inverter broke, and I've been waiting for a new one for almost 4 month now .__. Time to take the laptop finder and get another laptop for school. Thankfully it didn't affect your screen. Nostalgia? Play Oregon Trail Now! League of Legends - Buff Vladimir!